Privé Jets Awarded as 2018 "North America’s Leading Private Jet Charter"
The World Travel Awards has declared Privé Jets as the 2018 “North America’s Leading Private Jet Charter” provider. The award show celebrates the commitment to excellence from key players in the travel, tourism and hospitality industries. This is the 3rd time Privé Jets has been recognized with the award, previously winning in South America and The Caribbean. 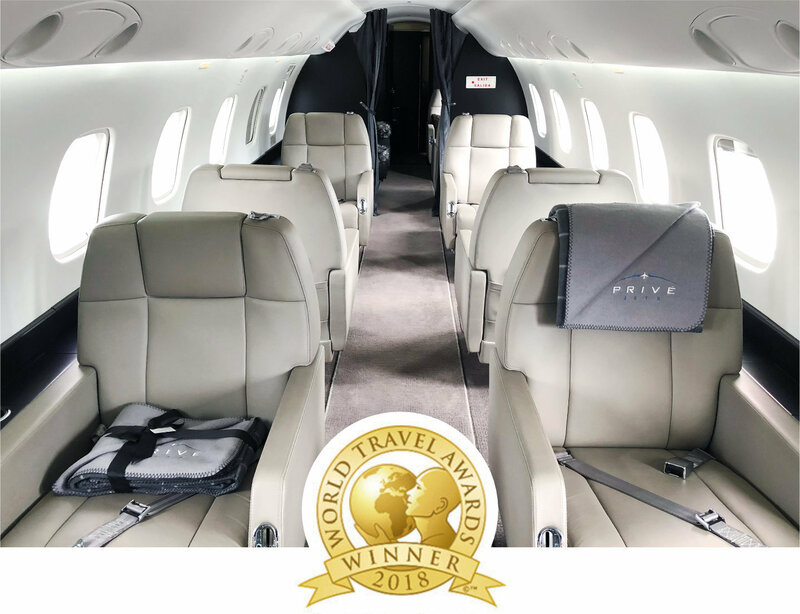 Privé Jets, a leading private air charter broker, today announced that they have been named 2018 “North America’s Leading Private Jet Charter” by the renowned World Travel Awards. The 25th Annual World Travel Awards Gala Ceremony for the Caribbean & North America was held in Montego Bay, Jamaica on September 22nd, 2018. This event is considered to be the region’s most prestigious travel and tourism event of the year, bringing together all key sectors of the travel, tourism and hospitality industries to reward and celebrate the excellence of key players in the Caribbean & North America markets. Privé Jets has continually demarked itself by its commitment to excellence. In previous years, Privé Jets has won “Leading Private Jet Charter” in regions like South America as well as The Caribbean, making it one of the most recognized private jet charter providers in the world. “We are very pleased that our company has been recognized as North America’s Leading Private Jet Charter of 2018, our commitment to always improve our client’s overall experience has paid off. We will continue to strive to provide the highest level of personal service while offering meaningful experiences for all our private jet charter customers worldwide” said Andres Arboleda, Privé Jets COO.